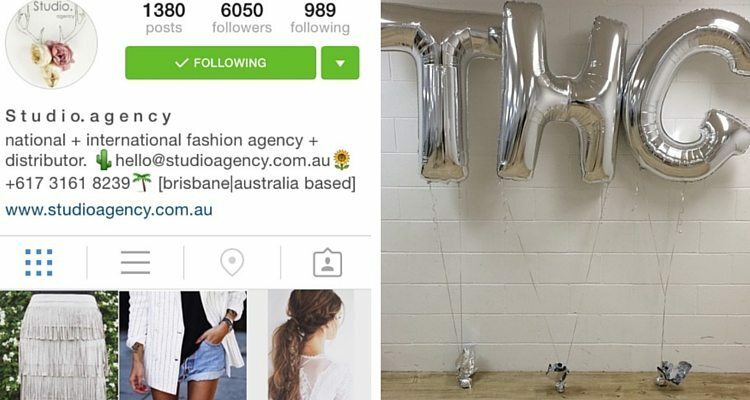 Want to work in the fashion industry? From the outside, the fashion industry looks like lots of glitz and glamour, but what does it really take to be successful in the competitive world of fashion? This month we interviewed Zoi Safiya Vafias, Director of Studio Agency, a successful fashion agency based in Brisbane. Zoi gives us a personal account and great insight into her experiences in the industry. Zoi’s interest in fashion was sparked at a very young age – she was taught to sew by her grandmother while on regular family visits. Her first pre-teen designs involved scrap fabrics, lots of imagination and resulted in her first fashion item – cute handmade little purses. Zoi’s first paid job was as a shop assistant for the children’s clothing retail store, Pumpkin Patch. Being the youngest casual worker in the store, the other more experienced staff took Zoi under their wing and taught her a lot about the industry and the importance of customer service. The fashion industry has undergone many changes in the past eight years, especially with the popularity of online stores. Zoi’s strategy for her business changed about four years ago, from selling high-end items to a select few stores; to stocking more affordable priced items that could be sold to a bigger market of retailers. And another exciting development has been the launching of an in-house fashion brand called Toby Heart Ginger. “We have grown so much in the last few years and are now stocked in many majors worldwide which is really amazing,” Zoi says. But running a business, especially at such a young age, is not all smooth sailing. “So many challenges. The biggest would have to be not following my intuition all the time and trying to please everyone. I have learnt now that the best advice is to trust your gut and follow your vision. If people believe in your vision, they will stay and if they don’t then they will drop off,” Zoi explains. What’s a typical day at Studio Agency? What do you look for to hire new staff? Further advice for fashion job hunters is that it’s not just fun and glamour all the time. It can be hard work and it requires persistence. “Nothing really in life happens overnight so you need to be willing to tough it out and work hard at making your passions succeed,” Zoi says. Balance in life and relaxation time is important to Zoi too – she enjoys the simple pleasures when away from the office; reading with a cup of tea somewhere in the outdoors is a favourite past time – in a park, a beach or rain forest. She also loves to stay active playing netball or participating in yoga. Studio Agency has also just joined a charity called Project Gen Z. Project Gen Z is a movement of Australian entrepreneurs that believe that education can change the world. “Over the next five years we will head to five countries with the mission to inspire 50,000 children. Running a workshop series called ‘Dare to Dream’ we want to give children the opportunity to dream bigger. I am very passionate about educating the next generation of youth to dream big and believe in those dreams,” Zoi says. Studio Agency will be incorporating some branded t-shirts through their in-house brand to raise funds and awareness for this cause. For more information on Project Gen Z visit: www.projectgenz.com.au. The photos below feature fashions from Toby Heart Ginger available from the Modella Clothing online store.